Juan Carlos Sancha winery will be showcasing the latest releases of Ad Libitum and Peña El Gato wines at the second Rioja Joven y Fresco 2012 event held in two weeks, either June 27 or 28th depending on the finals of the EuroCup Football Finals. You can either purchase your tickets online or directly at the event. Visit http://www.lomejordelvinoderioja.com for more up-to-date information. One of the keys to the winery’s success was the appointment of Juan Carlos Sancha as managing director. 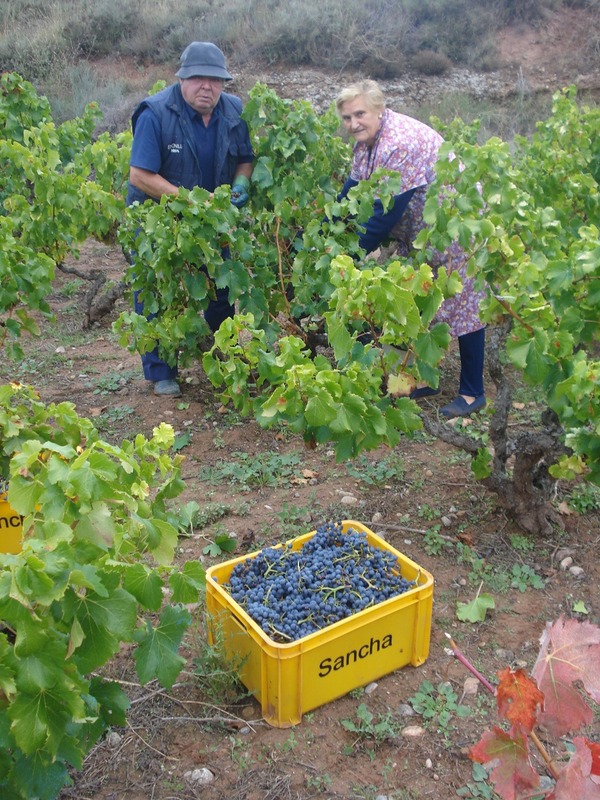 Sancha, an enologist, agronomist and university professor had always showed an interest in reviving grape varieties on the verge of extinction in Rioja and studying their possibilities for use as Rioja grapes. At the time, a lively, and as it turned out, almost eternal debate was taking place about the possible use of international varieties like cabernet sauvignon and chardonnay in Rioja and talk of new local varieties only served to fan the flames. Of course this turned into a political stalemate and is the topic of another post. Viña Ijalba, however, led the charge in favor of allowing experimental plots of these varieties (you can see them in front of the winery) and after what seemed like an eternity, several of these almost forgotten grapes, notably maturana tinta and maturana blanca were allowed to be used to make Rioja. To my knowledge, the first 100% graciano sold commercially in Rioja was also made at Viña Ijalba. Thanks in part to the minority variety investigation work of Juan Carlos Sancha and Fernando Martínez de Toda at Universidad de la Rioja. Thank you for the nice piece, Tom! Juan Carlos Sancha recently held a tasting at the Hotel HUSA in Logroño, La Rioja as part of the Best Wines of Rioja monthly tasting. At this tasting, he introduced the 2011 Ad Libitum Maturana Tinta which was a hit among the tasters. It is set to be released in Fall of 2012.